Sun and clouds mixed. Slight chance of a rain shower. High around 60F. Winds NNW at 15 to 25 mph..
Mostly clear. Low 39F. Winds NNW at 10 to 20 mph. 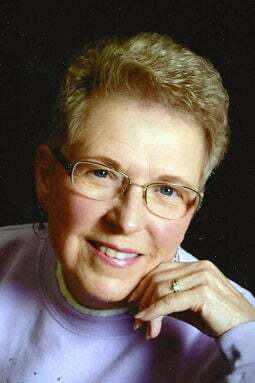 Victoria “Vicki” L. Anson, 73, of Fremont passed away Monday, March 18, 2019, at Dunklau Gardens in Fremont. She was born Aug. 14, 1945, in Fremont to Roy and Helen (Sorensen) Brandt. Victoria graduated from Hooper High School in 1963. She married Lynn Anson on Aug. 20, 1966, at Salem Lutheran Church in Fremont. Victoria was employed by Fremont National Bank for over 40 years. Victoria is survived by her husband, Lynn of Fremont; daughter, Brenda (Lyle) Bolkema of Sheldon, Iowa; three grandchildren, Justin (Katie) Bolkema, Breanna Bolkema, and Courtney Bolkema. Victoria was preceded in death by her parents, Roy Brandt and Helen Brandt Stuehmer; and sister, Joyce Snead. Celebration of Life service will be 1 p.m. Friday, March 29, at Moser Memorial Chapel in Fremont. Burial will be in Ridge Cemetery in Fremont. Online condolences may be left at www.mosermemorialchapels.com.